It's easy to get wrapped up, or more so tangled, in all of life's wire. We have jobs, bills, families, appointments, workouts, etc. Most of the time we finish one task, and we are on to the next one that's in our planners. Unfortunately all this stuff gets in the way of seeing who is in our life, and more importantly appreciating them. We often forget to appreciate the special people we share our lives with. We get used to this comfortable idea of this other person who we depend on, vent to, and do most everything with. It's good to be comfortable. 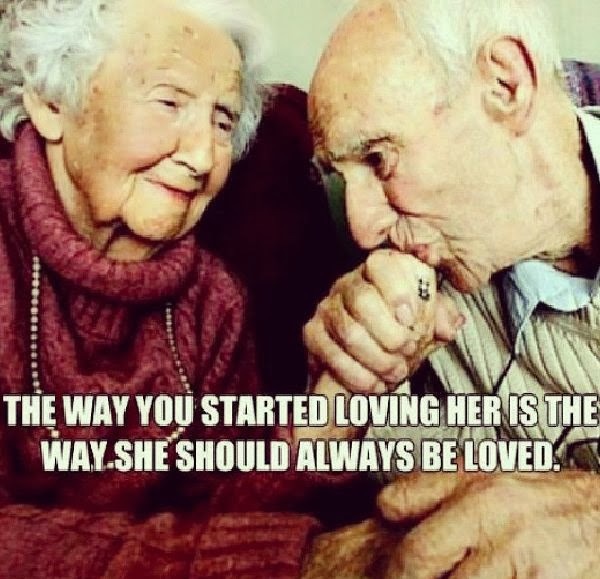 That's key to any relationship, but don't forget to love them. Really love them. It doesn't have to be a honeymoon all the time, but the honeymoon stage doesn't have to end. I don't believe it ever does if you're with the right person. Hold your gaze a little longer. Surprise them with dinner. Give them a genuine compliment you've never given before. Really listen to them. Say, "I love you" and truly mean it and feel it. Pick him up a six-pack of beer and turn on football. Give her flowers just because. Relationships need that TLC. They deserve to be a priority in your life because what is all that other "stuff" if you have no one to share it with?